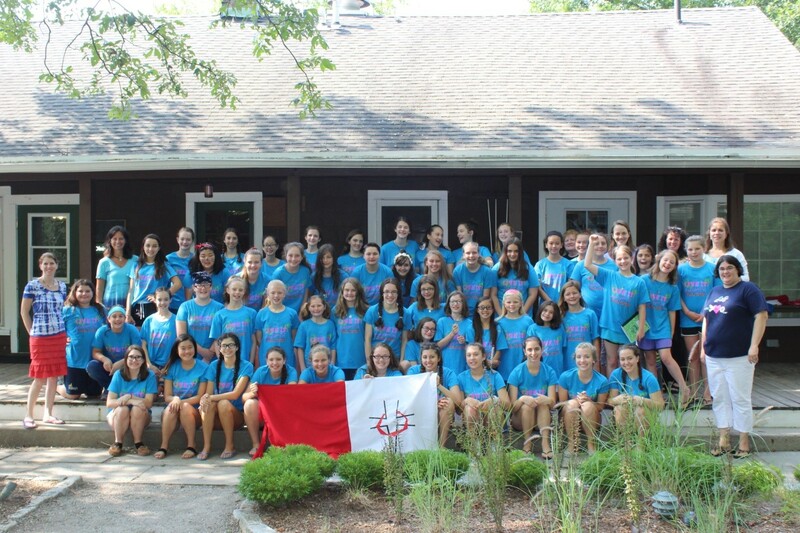 Article submitted by Sallie Roth, Challenge Leader in Branford, CT.
Our 2016 New England “Live It” Challenge Camp started off much like a mini-reunion, as many friends from previous summers arrived from several states and locations for check-in, amidst the welcoming of several new campers and families. 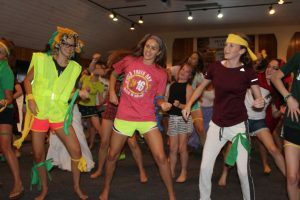 The excitement and the feeling of being back in a special place were evident for those who had come before, while those coming for their very first Challenge camp had no idea what a great and memorable week they were about to experience. 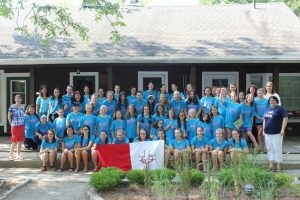 Fifty-seven girls, including 42 campers and 15 team leaders, came to the Incarnation Center in Ivoryton, CT, July 16-22, from various Connecticut locations, as well as from Massachusetts, New York, New Jersey, Rhode Island, California, and Pennsylvania. 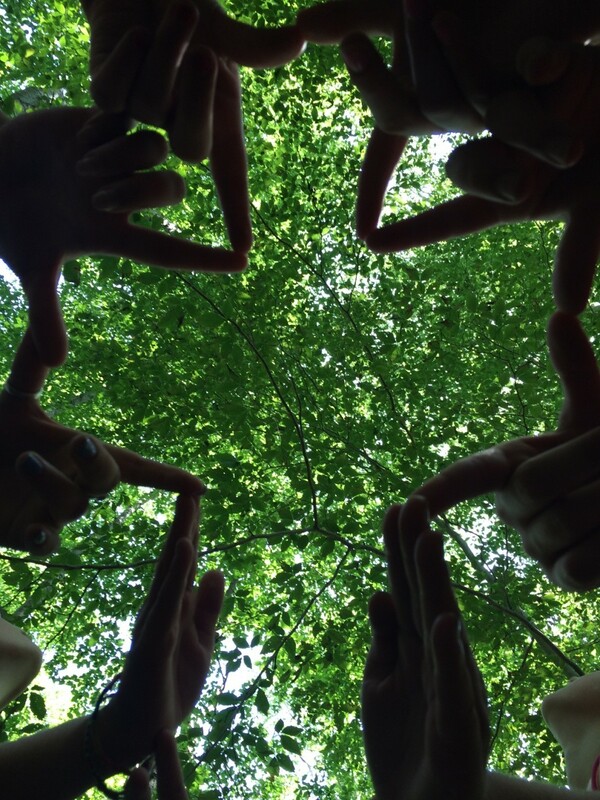 A great team of adults worked alongside the team leaders, providing lots of fun and spiritual moments for the Challenge girls and giving them opportunities to grow in their friendship with Christ and each other, and helping them to gain a greater understanding of ECYD. Our high school team leaders, many of whom have been part of this camp year after year from the time they were as young as ten years old, had their own distinctive experience together during the week. They worked hard to give the younger girls the best and most meaningful week possible, all the while enjoying each other’s company in the team leader headquarters. Three of our team leaders came for the first half of camp, leaving mid-week to go to Krakow, Poland for World Youth Day (WYD). On their last night, the three of them lead the night activity, centered around WYD and an international theme. The girls first gave the campers a presentation on WYD. They had also given each team a country and pre-chosen song from that country a couple of days beforehand, so that each team could prepare and practice a dance to present at the WYD night activity. 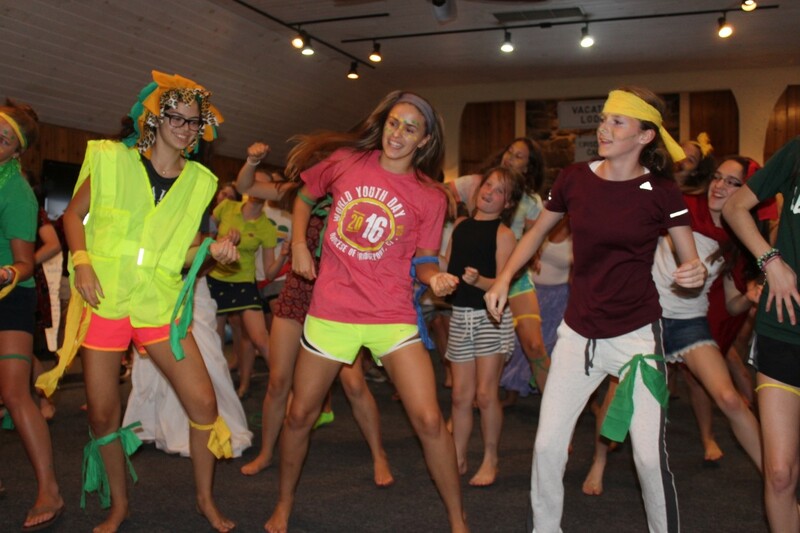 Each team came up with an amazing dance with repeating choreography that enabled the rest of the campers to join in with their dance after watching the first part. Each team’s dance became a whole-camp dance. 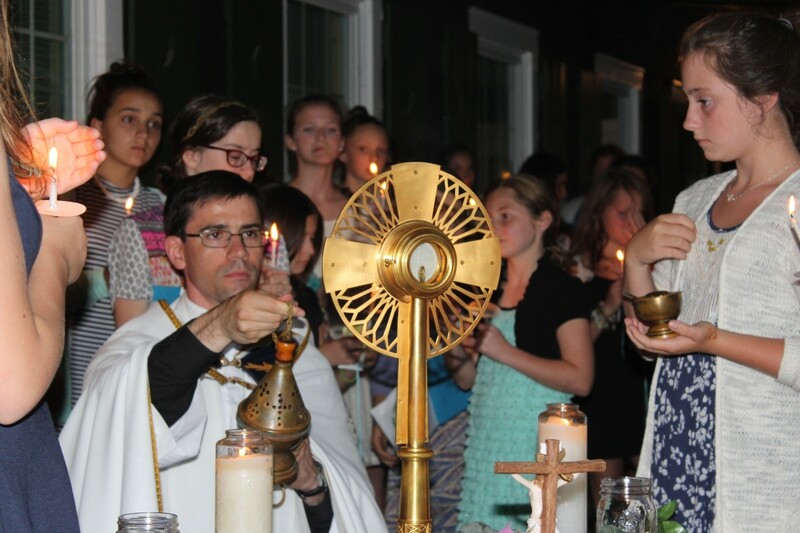 Probably one of the most beautiful experiences of the camp was the second to last night activity, which was the outdoor, candlelight Eucharistic Procession. Each grade set up their own individual altars outside along the procession route. We sang and processed with Father carrying our Lord from altar to altar, stopping at each to make a Pledge of Friendship with Christ and receiving ECYD symbols, ending back in the candlelit chapel for Adoration and Benediction. Other highlights throughout the seven days included the low ropes course, daily swimming and water activities at the lake, outdoor games, Messy Olympics, themed dinners, team dances, time in the chapel with Christ, talks and prayer time with our Consecrated Mary Houser, listening to Fr. Andrew LaBudde’s awesome homilies during daily Mass, and finding lots of moments in between activities to just be together with old and new friends. 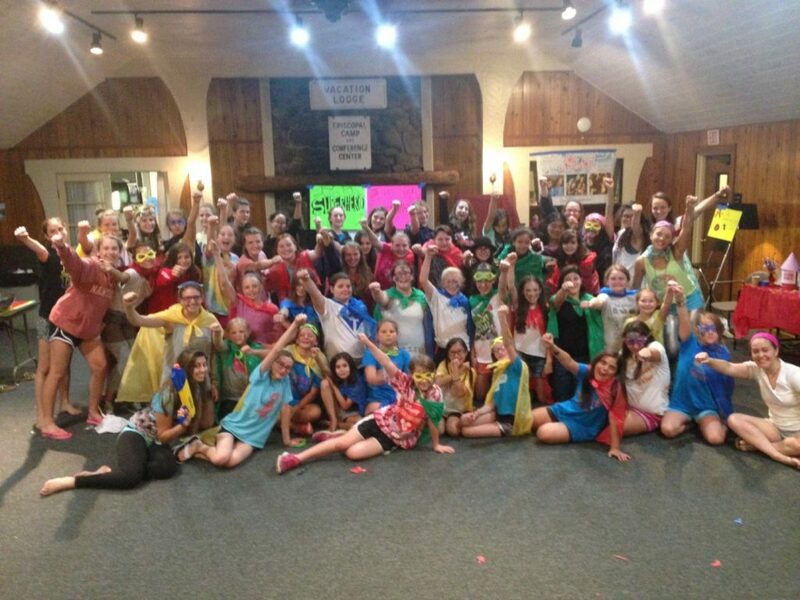 Legends of Misericordia, Movie Night, Superhero Carnival, and our 2016 Talent Show on the last night (a camp tradition) were some of the other great night activities that won’t be forgotten anytime soon. Leaving for home, the girls were all very tired, as we probably fit at least eight days of camp into a seven day week, but they were already looking forward to coming again next year for our 2017 New England Challenge Camp.